Kari Eakins here, sending this update on behalf of Superintendent Balow, who is traveling today. 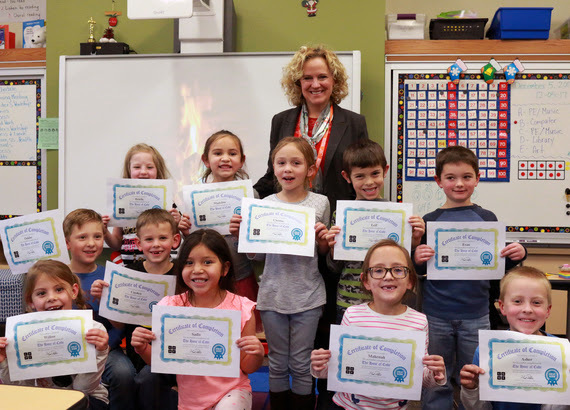 Mrs. Smith’s first grade class at Davis Elementary School proudly showing off their certificates for participating in the Hour of Code. 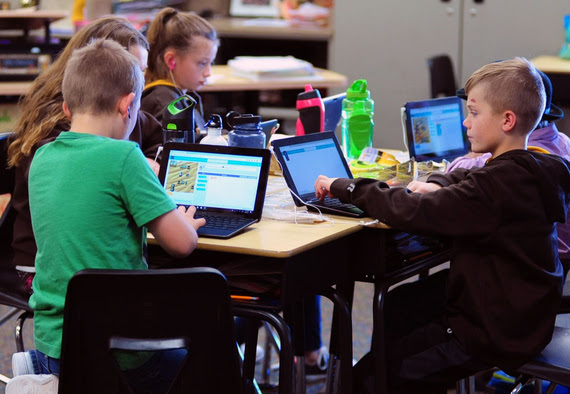 Students at Prairie Wind Elementary School participating in Hour of Code for Computer Science Education Week.